My grandma is 83 years-old and has very severe arthritis in her joints. What this means for me is that whenever I take her places, I have to keep her disability in mind. If there’s an accessible space available and she has her pass with her, that’s where we park. Occasionally, she exits the car first and I’m left sitting in the car for a bit. I also sometimes wait in the car while she shops. A lot of people see me in the accessible space by myself and make very rude assumptions. Sometimes I ignore these people and sometimes I mention that the pass isn’t actually for me, it’s for my grandmother. However, that begs the question — why do people feel entitled to know information about other’s disabilities? It is nobody’s business whether or not you need the space you’re parked in. If one has a pass for accessible parking, it means they need it. This isn’t limited to parking spaces either, it includes any accessibility service. Learning centres, jobs, etc. — people will always wonder why we need these things. At the root of this issue, I think, are able-bodied people wanting the special services that disabled people need to use. Able-bodied people want to park as close to the grocery store as possible, they want the same jobs that disabled people have, they want a private room to write their exam in, etc. People’s disabilities are their own business. Whether or not you are able-bodied or disabled, you are not entitled to information about other people’s disabilities and what help they need and do not need. What isn’t “fair,” is to approach someone who has a perfectly valid accessible pass on their dashboard and tell them they don’t deserve to park there. It’s also not fair to assume that you know anything about someone else’s abilities just by looking at them. Many disabilities are invisible. My grandmother needs to be close to the grocery store because every step for her is painful. She also needs to be that close because she has multiple artificial joints and if she falls, she could damage them. If you looked at her, that might not be obvious. It does not mean that she needs the parking spot any less. However, I should not need to explain that to an able-bodied person who wants my parking spot. I shouldn’t even have to explain it to another disabled person who wants my parking spot. What a person needs to make their life accessible is not anyone else’s business. You wouldn’t get angry at someone for parking in a normal spot that’s closer to the store than yours, even if they look more physically fit than you, so it shouldn’t be any different for accessible spaces. 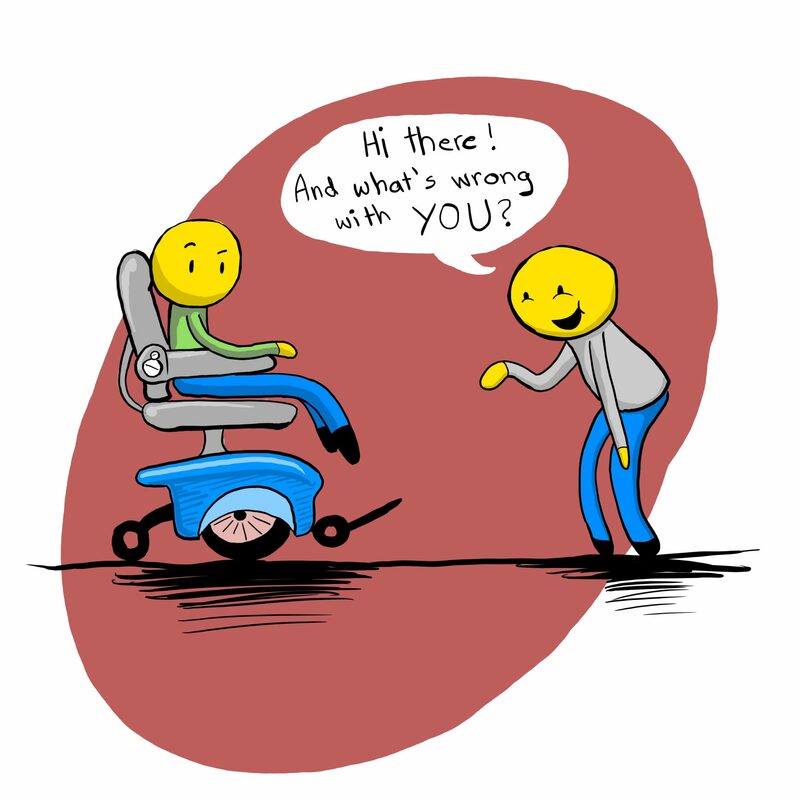 Unless it is offered, you should not be asking or making judgments about their disability. If you, as an able-bodied person, ever find yourself complaining about a person “not looking disabled,” don’t do it. They are, and it isn’t up to you to determine that fact.